Mobile health (mHealth) is the provision of health services and information via mobile and wireless technologies. It can be a powerful tool for impacting the health ﻿of Africans. 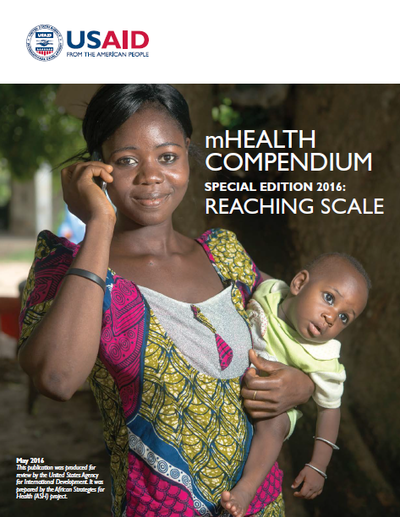 ASH produced six volumes of the mHealth Compendium to help USAID missions, governments, and health implementing organizations access information on a range of mHealth example programs. Profiles of the more than 150 programs featured in the Compendium Series can be accessed through the online mHealth Database, now available on mHealthKnowledge.org. The database allows users to search case studies to learn about the interventions, how they address specific health areas or problems, important results or evaluation findings, and contact information for their implementers and donors.